The Center of Continuing Education completes a number of training courses within its curriculum of the second half for the year of 2018.. The Center of Continuing Education in the University of Information Technology and Communication has completed three training courses on Computer Driving, Databases, and Website Design. The Computer Driving course consists of receiving skills in many subjects such as (Windows 7, IT, Microsoft Office Word, Excel, PowerPoint). Those main subjects include learning preliminary computer basics and Windows 7 OS, typing using Microsoft Office Word and building presentation slides using Microsoft Office PowerPoint used in workshops and discussions. The latter course has gathered a number of employees from Ministry of Higher Education and Scientific Research, The Iraqi Central Bank, Ministry of Immigration and Immigrants, The Iraqi Commission of Computers and Informatics, and The University of Information Technology and Communication. The SQL Server 2012 training course, on the other hand, was given to participants from the private sector, which brought skills of getting familiar with the software, database management principles, relations among tables, the system reports design, and configuring security policies for database access. 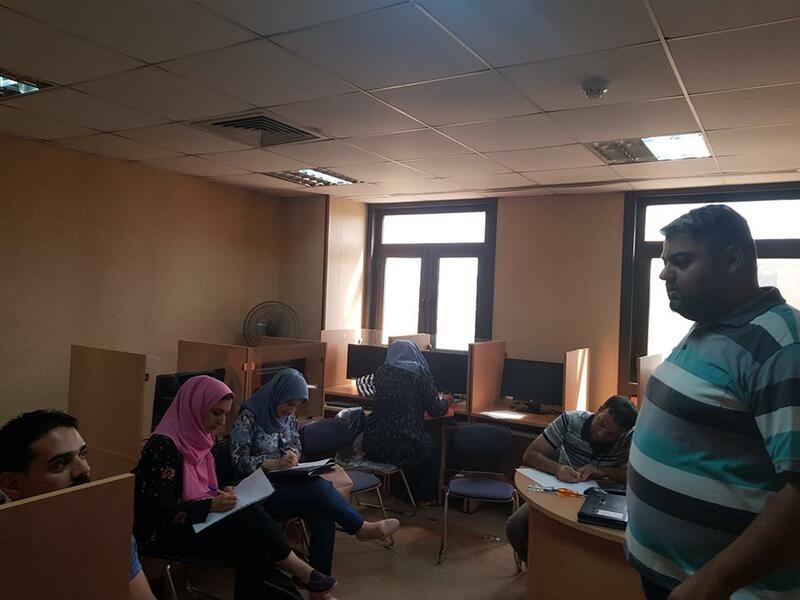 While the Web Design training course has presented an ASP.Net method to participants for the private sector in order to reach the knowledge of designing and programming websites in an interactive and highly skilled approach.